This is a must do tour on any visit to Phuket. 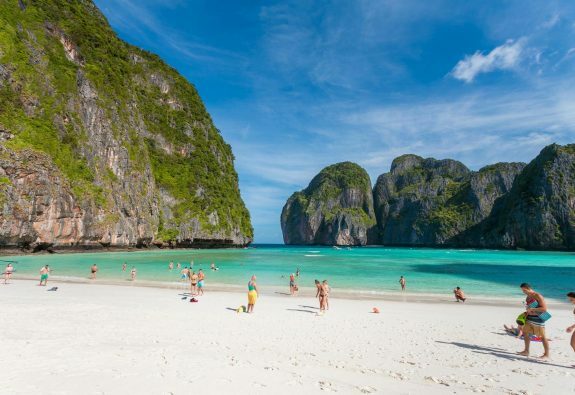 This is one of the most comprehensive tours to the Phi phi Islands and very high quality. You have opportunity to visit the less commercial Northern parts of Phi Phi Island including the magnificent Bamboo Island with it golden sandy beach, and crystal clear waters ideal for snorkeling. You have lunch in a beautiful beachfront restaurant and have opportunity to visit the many highlights of Phi Phi Island including.